The Optimum VAC2 Air Vacuum Power blender from Froothie is not 'just another high powered blender' it's a heavy duty blender that has the option to be used with or without vacuum. Just look at this gorgeous machine; I say it definitely looks the part, but not only that it makes life so much easier in the kitchen. It's also available in Black or Red but I'm loving Silver. 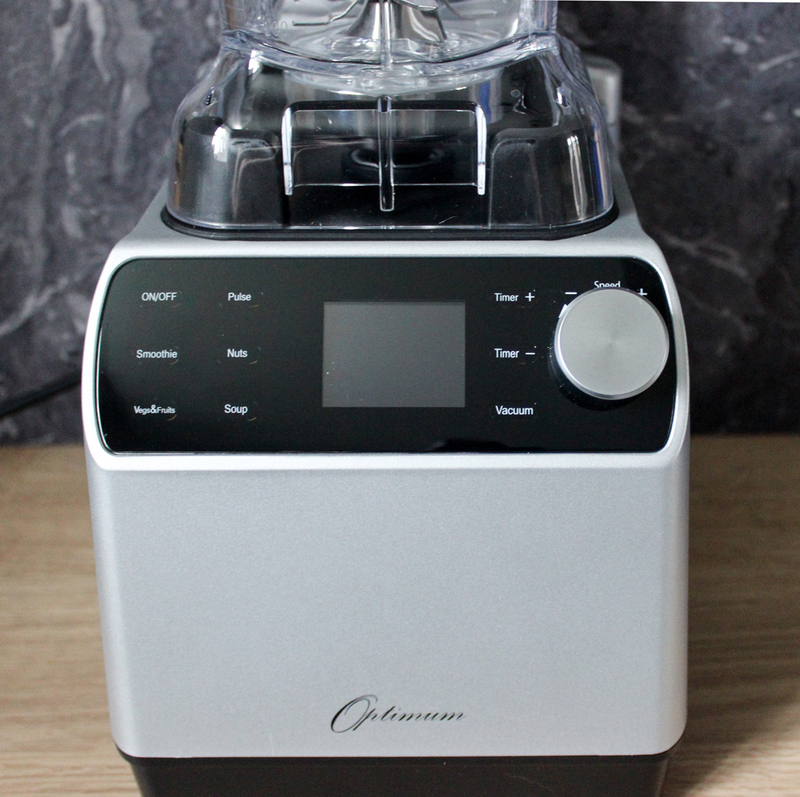 I have to say it's built well, and so it should be for the price, but you can tell this is fantastic quality as is my previous Optimum 9400 Next Generation Blender. 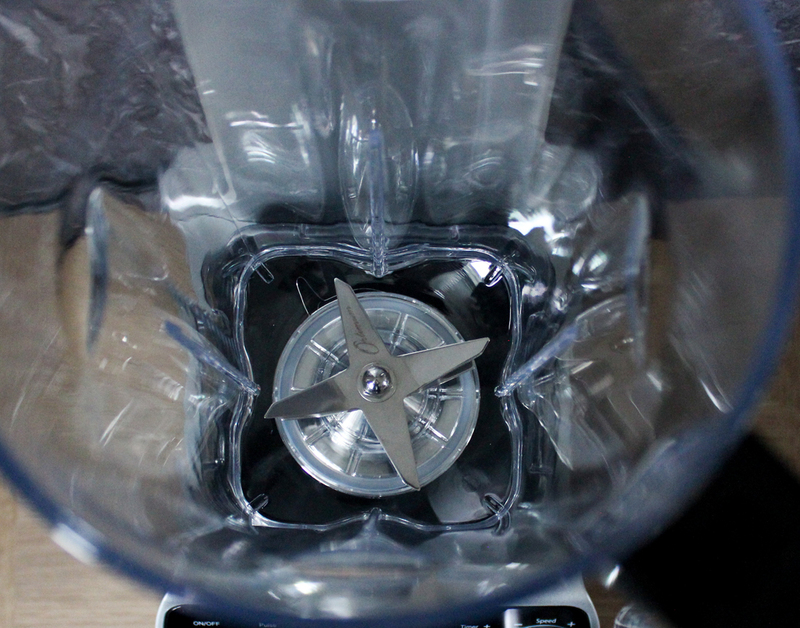 There's certainly nothing flimsy or cheap looking about any of the power blenders from Froothie. Why would you need a Vacuum Blender? 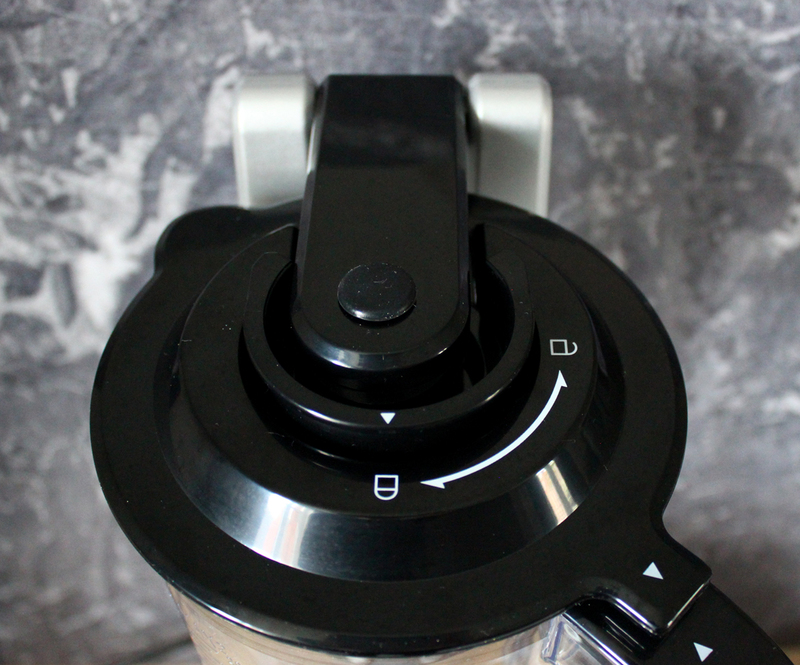 When used with the vacuum option the air is taken out of ingredients such as fruit placed in the blending jug. By removing the air smoothies etc will stay colourful and won't separate as they usually would. The vacuum technology eliminates the oxidation process by drawing out the air which can lead to the destruction of nutrients in food; this is what causes smoothies etc to separate in a very short time if not consumed straight away. If you're only looking to use a blender for the occasional smoothie or to blend soup then you probably don't need a vacuum blender. But if like me, you want to get the best taste and preserve the nutrients and flavours from the food you blend. Oils, nuts and seeds are more fluffy instead of being quite dense if blended without vacuum. Also if you're looking for a robust powerful blender that comes with a Free 5 Year Domestic Warranty and won't break when given the task of crushing large quantities of ice or grinding nuts and grains. The Froothie Air Vacuum Blender has wet and dry 6 high quality stainless steel blades (made in Japan) and a powerful 2238W motor. The LED display has easy one-touch buttons and there's a speed dial and pulse function. BPA free jug with lid and cap is 2L in size and so it's big enough to make soup. 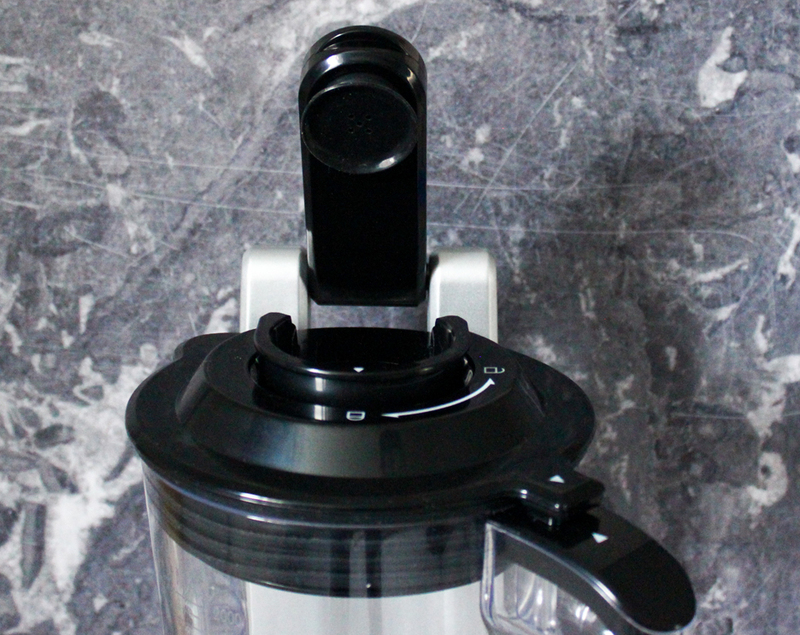 The Vacuum function is for use when making smoothies and also for blending fruit or veg. Please note it should not be used when grinding nuts or grains nor when making soup otherwise you may well damage the machine. Place the ingredients into the jug and pop on the main lid and the small lid making sure the guides on both lids are aligned correctly. Lift up the vacuum outlet and place the jug in position. Drop the vacuum outlet on top of the lid. Press On/Off and then press Vacuum. Vacuuming will stop automatically when the process is complete; this takes about 70 seconds before the desired preset function is activated. Well that's easy! Just add a couple of drops of washing up liquid to the jug and fill with halfway with water. Secure the lid for goodness sake or you'll end up cleaning the ceiling! Start the blender on LOW and slowing increase to HIGH speed. Give it a good rinse, leave upside down to air dry and that's it, job done. I'm an Ambassador for Froothie which means that if you order the Optimum VAC2 Air Vacuum Blender through me the delivery charge will be paid straight back to your debit or credit card. All you have to do is write this in the comments box 'FREE Ambassador Delivery code 2403' when you place your order. At the time of writing there's a massive 20% off which is fantastic. If you do order I will be paid a small commission (no extra cost to you of course) but it does mean I can continue to develop recipes and bring you reviews of other great products. 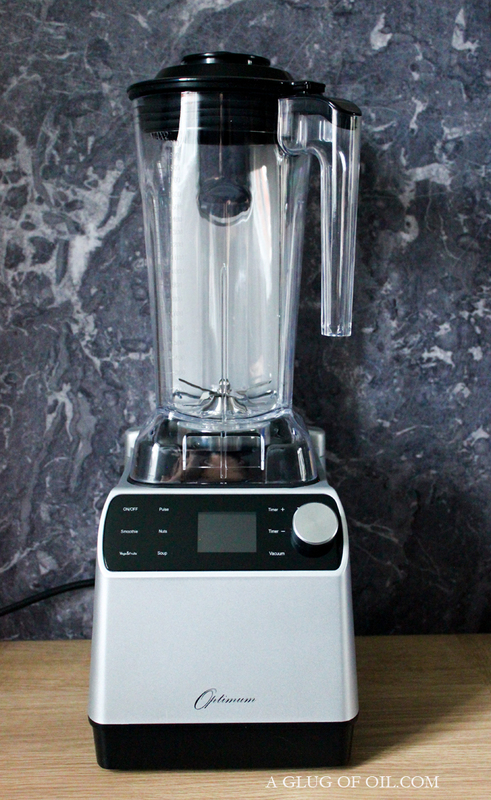 If you have any questions about this blender don't hesitate to contact me by email found on my About Me page. Froothie offer a 30-Day Money Back Guarantee that Includes Return Postage and although I can't imagine why anyone would want to return such a great machine it's peace of mind for anyone ordering. Disclosure: I was sent the Optimum VAC2 Air Blender to review. All thoughts and opinions are my own. I was not required to write anything positive. Another great blender from Froothie UK! Until I saw your video I hadn't even noticed the two extra vacuum seals. I keep meaning to go back to the box and see if I can find them. Fab review Jan. I've yet to get my act together, but I'm liking it so far.